The caption on the back reads "Van Dyke." Who was he? Where was he? When was he? Stephanie replied that this "looks like the Rogue River in Gold Hill Oregon!" 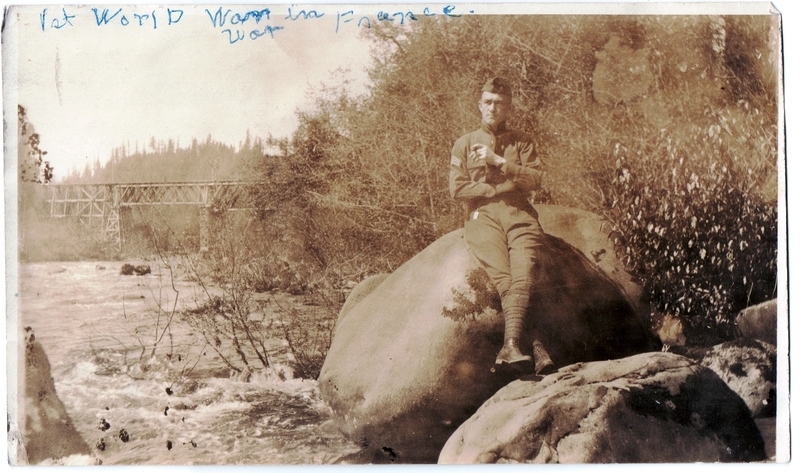 Photo of the submitter's grandpa, Harold Eugene Krape, Sr., born in Portland in 1890. 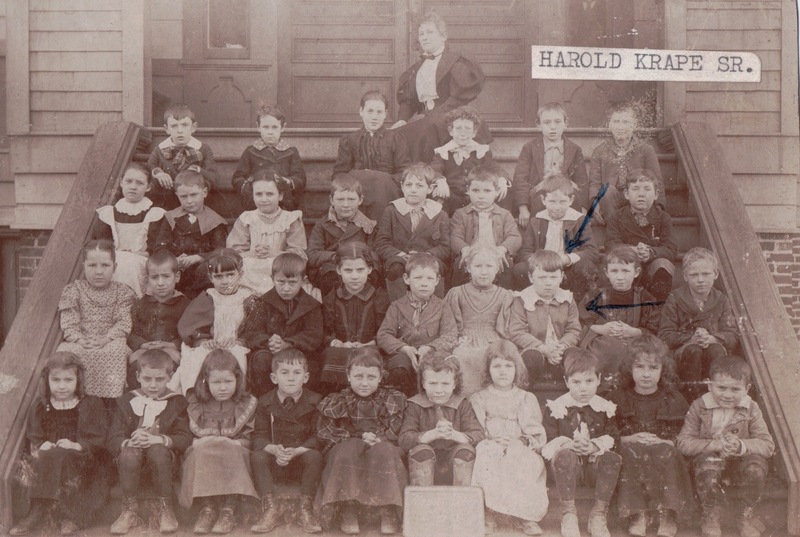 The photo is of a class at a Portland school, probably around 1898? Which Portland school, though?? Is the year absolutely correct? Can you identify any of these beautiful people? 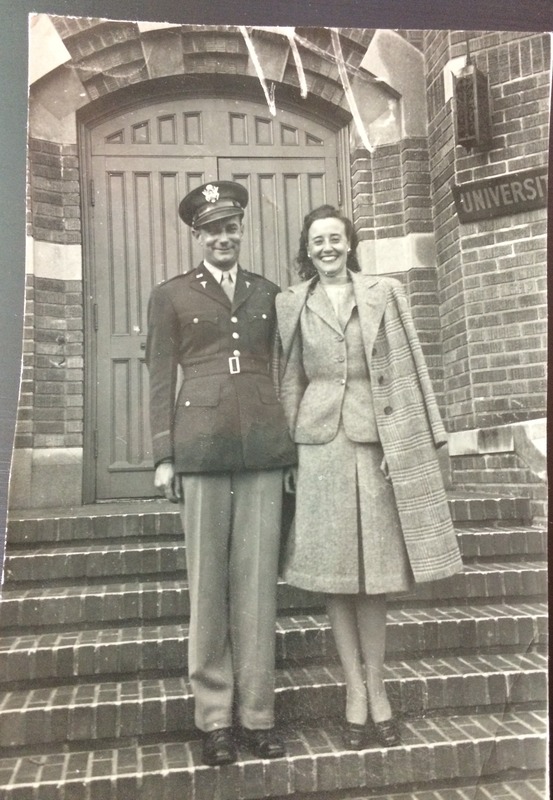 Erma and Paul Zeigler (Ziegler?) Where are they? What rank and service? Larry replies that he believes Paul is a Captain in the U.S. Army, possibly in the Medical Corps. Thanks Larry! Judith replies that this looks the entrance to the University Club in Portland, Oregon. She also suggests we call the University Club and ask if they had a Zeigler as a member during WWII (was it)? Guy and Dorothy where? RECENT ANSWER FROM THE CROWD: "It's a bit of a shot in the dark the peak in the background looks a bit like Mount St Helens. 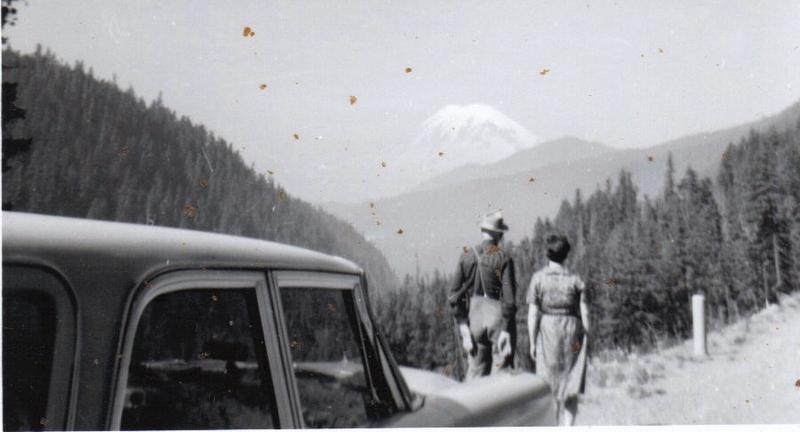 Could it be a view from the northwest somewhere along the Toutle river?" Thanks Kristen.